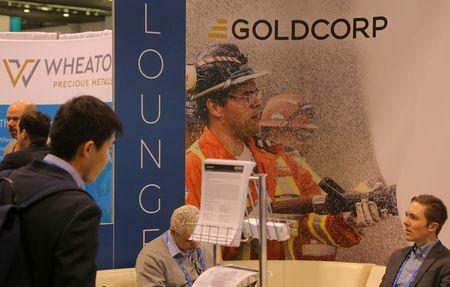 (Reuters) - Goldcorp shareholders approved Newmont Mining Corp's $10 billion takeover offer on Thursday, removing one of the last remaining hurdles to create the world's largest gold producer. While some Goldcorp shareholders had voiced concerns in recent weeks, in the end there was little push back against blessing the biggest-ever corporate takeover in the gold sector's history, according to Refinitiv data. The deal, which would create a company with assets in the Americas, Africa and Australia, will be voted on by Newmont shareholders next Thursday. If approved, the deal is expected to close by June. About 97 percent of Goldcorp's outstanding shares that were voted at a special meeting were cast in favor of the deal, the company said in a statement. Newmont had offered 0.328 of its shares and 2 cents for each Goldcorp share. "We appreciate Goldcorp shareholders’ vote of confidence, which moves us one step closer to creating the world’s leading gold business," Newmont Chief Executive Gary Goldberg said in a statement. Vancouver-based Goldcorp shares rose slightly on Thursday afternoon to C$15.39 in Toronto, and shares of Denver-based Newmont rose slightly to $36.02 in New York. The benchmark S&P/TSX Global Gold Index gained 0.8 percent. The $1 billion to $1.5 billion of assets the combined company is expected to shed, combined with mines Barrick plans to sell in the wake of its acquisition of Randgold Resources earlier this year, is expected by analysts to fuel further sector deals. That is a change from the last several years, when miners focused on cutting costs instead and investors lost confidence in the industry after years of dilutive share issuances and pricey acquisitions. Thursday's vote comes after a tense start to the year for the gold industry, sparked by Barrick's hostile bid for Newmont two months ago, a proposal that would have required the Goldcorp deal be scrapped. While that was resolved through the creation of a joint venture of Barrick and Newmont's Nevada assets, Newmont investors raised concerns about Goldcorp receiving too much of the benefits from the joint venture, which the company responded to with an 88-cent special dividend.